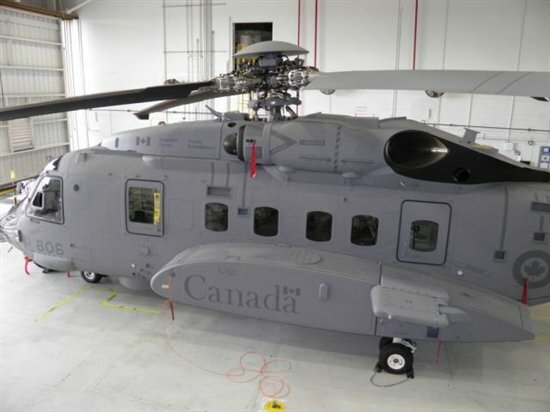 With the recent revelations surrounding the Sea King replacement program, once dubbed “the worst procurement in Canadian history’ by a former Minister of National Defence, questions continue to be raised about the state of the Governments military procurement policies. More to the point, questions are being raised about the results of Government military procurement policies. A 2011 Defence Department analysis found that in 1998 the average acquisition time for equipment was 190 months. Within several years, after initiatives to improve the situation were brought in by Alan Williams, then assistant deputy minister at the Defence Department in charge of procurement, the figure dropped to 96 months and then to 89 months. By the time of the DND study, however, the time it took, from start to finish for military acquisitions, had grown to an average of 199 months — more than 16 years. It can be inferred that in the ensuing years, with the Fixed Wing Search & Rescue program and the Medium Support Vehicle System Project as examples, that these figures have become even worse. The 2011 study found that the increase might have been caused by factors such as; a larger number of equipment projects on the go, a lack of skills among staff, or the complexity of the procurement system. The DND analysis also pointed to some of the challenges procurement staff are facing, including government cutbacks, the rapid pace of technological change, the increasing need to consider political and economic factors and a “high level of Auditor General and media scrutiny.” Other issues raised in the DND analysis include a lack of staff to manage the equipment projects and inadequate training for procurement officials. It should be pointed out that in recent years the Defence Department has gained a reputation in some government circles of playing fast and loose with procurement rules. At one point the government even took the unprecedented step of intervening and putting a temporary halt to the purchase of military trucks after it was discovered the Defence Department tried to spend more than $300 million extra on the program without permission. He has also written that he believes that the single most significant impediment to improving the defence procurement process is the lack of a minister directly accountable for results. The overlap and duplications between the roles and responsibilities of the ministers of PWGSC and Defence guarantees that no single minister can be held accountable for the billions of dollars spent annually. If that is indeed the problem, then the Conservative governments’ announcement, by Public Works Minister Diane Finley, that they will require that all future military procurements be reviewed by third-party advisers may do more harm then good. Joyce Murray, the Liberal Defence critic, believes that what is needed is a procurement process that is transparent, timely, cost-effective, innovative and accountable. She is calling for clear responsibility for results, not multiple persons and agendas in charge to avoid conflicts, delays, re-sets, cost escalations, and program cancellations. James Cowan of the Canadian Business Magazine has suggested that the government practice of tying Canadian jobs to military machinery projects has been a huge mistake. He points out that the government’s military strategy is also an economic development strategy. It’s just not a particularly good one. Studies of procurement, notably by J.C. Stone, suggest that the separate Defence Procurement Agency advocated by many would not necessarily work. His report points out that issues of cost overruns, delayed deliveries and equipment not meeting requirements are also found with those countries that have tried this approach.. He argues that the reasons have much more to do with internal issues that have nothing to do with whether or not there is one agency responsible or three departments responsible. Politics, he says, will always be a critical factor regardless of whether or not there is a single agency and concludes that a single agency may improve many parts of the process, but it will not solve the underlying challenges. What is needed, in the view of this writer, is a change in attitude, a change by the government, by the government’s critics, by the media and by the public at large. In his book “The Longer I'm Prime Minister: Stephen Harper and Canada” author Paul Wells makes the point that the Prime Minister, and his government, are relentless in their quest to control all aspects of any messages of any kind which emanate in any way from any part of the federal government. The problem with this approach is that it works, from a political view point, and reinforces the government’s belief in the system they have created. It is a system which involves all output of any kind being directed through the Prime Minister’s Office for vetting before it can be released to the general public. This adds yet another layer to the sheer complexity of military procurement. It is this additional layer which in many cases is enough to de-rail the entire process. This government, and governments to follow who may be enticed into the same behavior by its apparent success, needs to make the intellectual, and emotional, leap necessary to understand that in giving up some control they increase their chances of better outcomes. At the same time the public at large and critics of all stripes must become discriminating enough to understand that apocalyptic headlines which essentially carry the message “New Army Trucks Not Perfect”, can and sometime should, be read as “New Army Trucks Bring Increased Capabilities”. The government, the military, and the public must relearn the lesson that both in terms of controlling the message and in delivering new equipment to the Armed Forces, ‘perfect’ is the greatest enemy of ‘good enough’.